With many movies being released it can be difficult to pick which movie to see, but being able to download a movie clip for free can allow you to decide which of the dozens to see. Not every movie being released has a trailer being shown on television, and most people don't want to sit in front of it watching for hours to maybe catch a glimpse of one. Those of us who love and adore movies check out websites like Ain't It Cool News and Hot Indie News to find the latest movie rumors, reviews and "insider" information on those films we want to see months and months in advance. There are clips available that are known as "teasers". These movie clips are meant to tease the viewer to get them excited over a new movie that may not be due out in as much as a year. Many trailers never find their way to the TV or theater until they have a release date; teasers are different. Star Trek X is a great example of such a teaser trailer. There isn't much information on the teaser trailer. It's just a sweeping camera movement over the hull of what seems to be a large ship until the light movies over the words: "U.S.S. Enterprise" then "Under Construction" appearing on screen. For any Trekkie, it's enough to provoke goose pimples. These teasers are typically only available to download on the Internet. You can stream the video you want from the Internet directly to your computer in "real time" without having to use up space on your hard drive. You can find a website that holds the clip on a server in a downloadable format like AVI or MPG that will take up space. You can watch it whenever you want to and even burn it to disc or make a DVD out of just movie trailers. Not every clip you find can be saved to your computer as it is more economic for websites to stream videos than it is to have them for download. There are programs you can download (some free) that allow you to stream the video and decode, then recode, the stream to a savable movie format that is downloaded to your computer. These programs can be used for movie clips as well as "webisodes" and full episodes of TV shows. Replay Media Catcher is a program that allows you to download and recode FLV (flash video) files from nearly every website that uses them, like ABC, NBC, YouTube and MySpace. It has a free trial but it can be bought for just under $40. WM Recorder is considered one of the easiest to use software programs to capture streaming video and it will capture all popular types of video and audio. It's available for just under $50. Orbit Downloader is a completely free program that lets you capture and save streaming video that is sent out over certain protocols, including HTTP, MMS, RTSP, RTMP which include MySpace and YouTube. YouTube: No list for downloadable video clip content is complete without YouTube as you can find nearly everything you could ever think of. MySpace: Known as a social networking site, MySpace is more than just a place to hit on someone. It serves a broader purpose to help unsigned musicians and film producers share their content for free. Movies @ Yahoo: You can find a movie in your local theater, view and download trailers and check out all the latest news on your favorite stars. You can even buy movie tickets online through them as well by way of Movie Tickets. Wing Clips: This site offers downloadable movie clips that offer inspirational messages and concentrates on religiously significant content. Movies @ AOL: You can download and view trailers of upcoming movies. 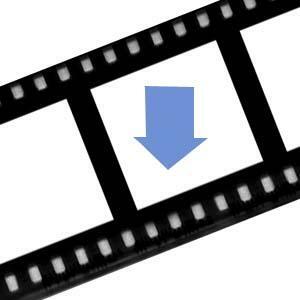 MP4 Point: This is your destination to download movie clips in QuickTime format for use on your PSP, iPod, iPhone (and other mobile devices). Download a movie clip for free to tease yourself or to learn more about movies that will be coming out soon.